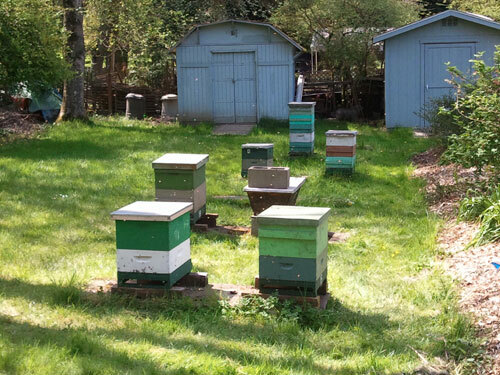 Becoming a member of Puget Sound Beekeepers Association is a great way for you to meet other beekeepers, learn more about beekeeping through our monthly meetings and apiary work parties and to support PSBA in its mission to protect honey bees. Paying members support PSBA in its mission to protect honey bees and educate beekeepers and the public! Annual membership is a $20.00 (PSBA is a 501(c)(3) organization. Membership dues are are tax-deductible (as allowed by law.) Membership terms are for 1 year, January 1-December 31. Dues paid after October 1 will apply to upcoming year’s membership term. Becoming a member or renewing your membership has never been easier! If you prefer to pay by check, please select the pay by check option and follow the instructions. You will get a confirmation email after the registration process is complete. Please make sure to allow emails from the domain “@pugetsoundbees.org” so you don’t miss any important communications. Your privacy is important to us! Members will receive direct email from the organization with beekeeper alerts (meeting reminders, and heads-up on hot topics or learning opportunities). Be on the lookout for these! You will automatically be signed up to get these important organizational messages when you initially signup or renew annually. However if desired you may opt out at any time for the remainder of the current membership year.